‘Shadow of the Colossus’ PS4 Review – Spotlight Report "The Best Entertainment Website in Oz"
Back in 2005 a new gaming concept was released exclusively for Play Station 2, and blew the minds of players world-wide, with its epic, poetic simplicity, open world and game-play that survived the test of time…That game was Shadow of the Colossus. 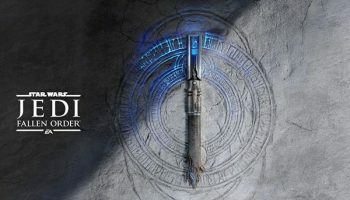 Today, thanks to the tremendous capabilities of the Playstation 4 platform, Shadow of the Colossus has made its triumphant return, bigger and better, with enhanced graphics and a few control tweaks, that remains loyal to the masterpiece by director Fumito Ueda and the geniuses behind Team Ico. 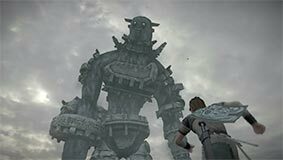 If you live in another planet and you have never played Shadow of the Colossus, the premise of the game is simple, players take the role of Wander, young hero in a fantasy land, who needs to defeat 16 mythical creatures in order to save a young girl he has been carrying out. In words, it might not sound exciting, but the gaming experience, even back in 2005, is way ahead of time because this is a game with no random enemies, it’s solely purpose is to find these “colossus” across the huge open world and find their weak points, which at times is quite challenging, as you might need to climb them, or even hold tight underwater to reach their vulnerabilities. 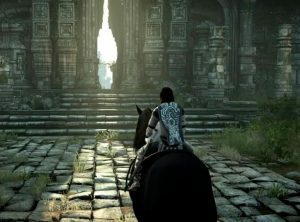 Moreover, the hero also has a special bond with his horse Agro, adding some extra charm to the game, as their relationship feels like the one Atreyu and Artax had in the cult classic fantasy film “The Neverending story” (1984). The new graphics are glorious and feel fresh and classic at the same time, the battles are epic and require a lot of time, patience and strategy. Furthermore, riding Agro around the land it’s a joy by itself, as you can explore beautiful locations and even hunt down some small animals to boost your climbing capabilities (some die hard players know that this might help you to reach certain secret area after you finish the game too). Overall, Shadow of the Colossus is a triumph, an all time classic that got a well-deserved makeover just to reach new generations and to give some fan-service to older players that were taken on a magical journey across a land ruled by giant creatures back in 2005. Amazing game in every line. A must Own and play over and over again!